Serving the ALBERTA FOOTHILLS REGION including Okotoks, High River, Nanton, Aldersyde, Longview, Black Diamond, Turner Valley, Millarville, Priddis, Heritage Pointe & South Calgary. Now's your chance to know the truth, the whole truth, and nothing but the truth. A graphologist is a person who analyzes handwriting of the living or the dead, Handwriting is known as brain writing. 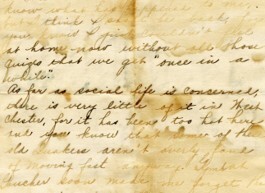 There are many different personality traits that can show up in ones Handwriting. Great civilizations have studied handwriting. For instance the ancient greeks learned a lot about each other by this method. 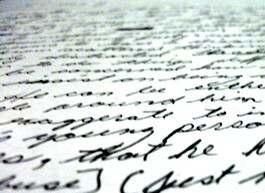 Handwriting is as unique as a persons fingerprints or DNA. Analyzing Handwriting or signatures can open doors to the mind, in turn giving the analysts a picture of the writers personality, likes and dislikes, temperament, thinking process, patterns, the need for relationships or not, and many more traits. Governments and large companies from around the globe use graphologists to analyze and screen potential candidates for all types of employment. A company can take a writing sample of a prospective employee, then proceed to do a personality profile. Matching the congruency of the applicant with the ideal physiological profile of the employee in the position. A tool to be used along side other forms of psychological therapy. A parent can learn a lot about a child through their handwriting. A Graphologist is also used to determine the compatibility of partners. 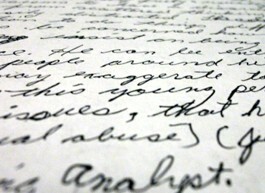 A Graphologists reports can identify pertinent basic traits of the partners; and the graphologist can suggest area for potential conflicts in the future. For example: a person appears calm yet the writing shows a potential for violent explosion of temper. The use of graphology can give an individual their strengths, abilities or needs as well as areas of activities to avoid. With the intent of educating the public by having fun and getting to know yourself and others i.e. Christmas parties, corporate events, etc. Delve into the minds of your ancestors. As a fully certified graduate of ISHA Dr.Karohs I adhere to a strict code of ethics and a high standard of integrity. I can promise that when you contact me, it will be in complete confidence. Your details will be fully protected, Discretion, Confidentiality, and honesty are held in high regard. The impulses that affects the way we write comes from our brains and through our hands. We are all taught in the same classroom by a teacher to print and write however we all end up with our own personal style of writing! Do not try and use your best penmanship if you want the truth you must write naturally. We understand how difficult it is to find professional graphologist to perform graphology analysis or a personality analysis. 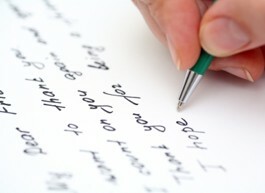 Marcia Drinkwater is a certified expert graphologist and is available to help with your graphology requirements today. Okotoks Guide: Community, Travel & Business Directory, Classified Ads, and Events.